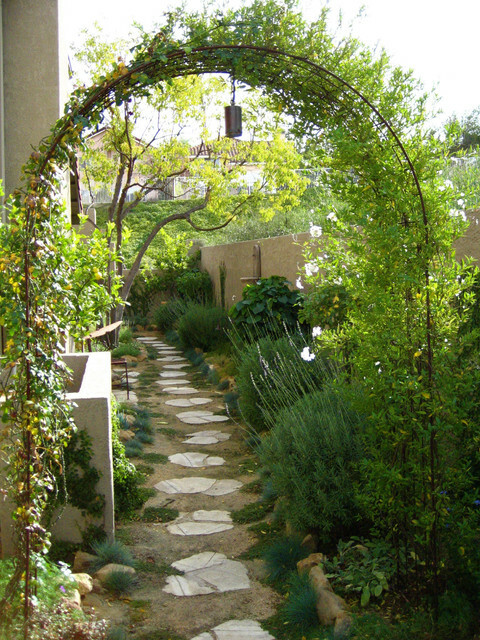 The vine-clad arbor creates a welcoming doorway. The stepping stones are nicely spaced, so people can even walk here in bare feet. The Mediterranean plantings have a unified, green palette to soothe the eyes — and there's even fragrant lavender, to release its scent when ankles brush by.